38 - $99.99 Only 3 left! 40 - $99.99 Only 3 left! 42 - $99.99 44 - $99.99 Only 2 left! 46 - $99.99 Only 1 left! 48 - $99.99 Only 1 left! 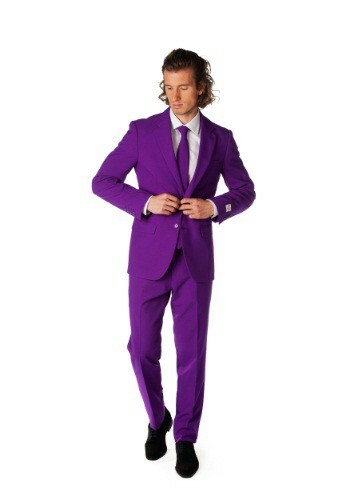 Listen, it’s not exactly a secret that it takes a particular guy to be able to pull off a purple suit. They’re not for the faint of heart, mostly because there’s literally no way to camouflage yourself whilst out in the wild. Unless you’re hanging out with a bunch of peacocks (the actual animal, not those dudes who hang out with Alessandro in Marketing) or just standing in and amongst a bunch of purple grape vines, purple doesn’t often occur naturally in nature, friends. Get a little bit of that mysterio vibe with this Men's OppoSuits Purple Suit. 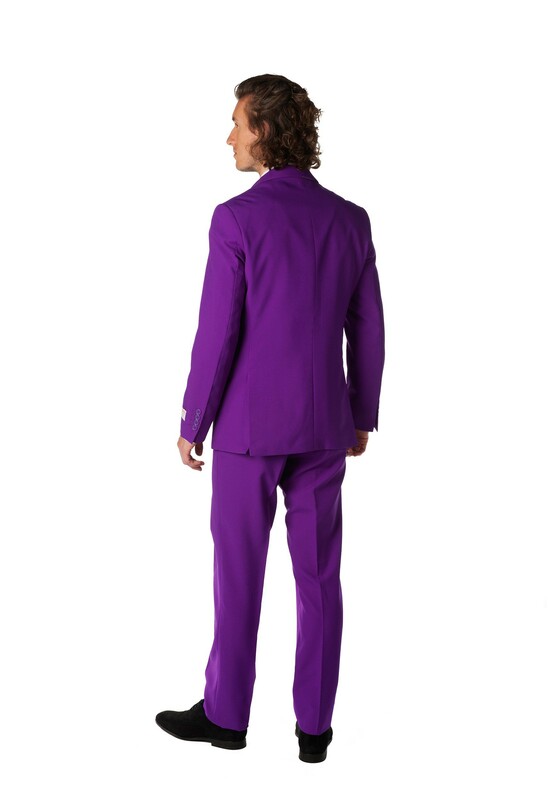 It's 100% polyester (200% amazing, according to the product label), has a fully lined suit jacket, and the pants are intentionally long for styling with casual footwear. It also comes with a matching necktie (and it's not a clip-on, so learn how to tie a tie already, ya joker!). It has a slim fit design, so please consult the size chart...and if tailoring is required, the OppoSuits were made to be tailored with ease. 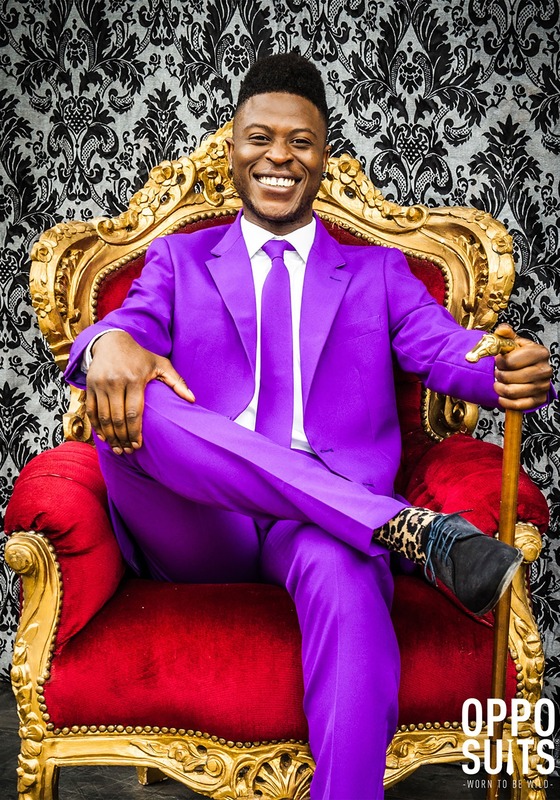 Which again proves our point: The only thing not easy about this Men's OppoSuits Purple Suit is how much attention you'll get while wearing it.